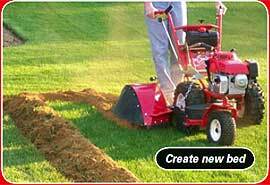 Re-define pitch and lawn edges. Groom shrub and flower beds with minimum disturbance to plants. Blade angle quickly adjusts to match ground conditions. 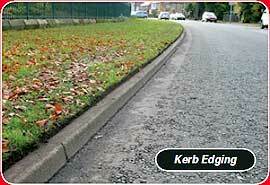 Cut grass overhang from pathways, kerbs and roads. 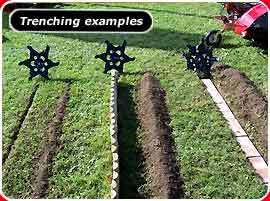 Create new landscaping beds and tree rings. 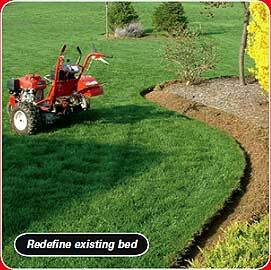 Redefine edges around neglected borders and beds. 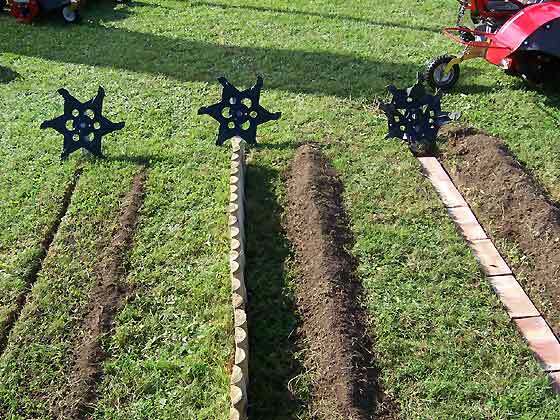 Blade cuts a fresh edge and gulley, breaks soil into a fine tilth and deposits it on the bed. 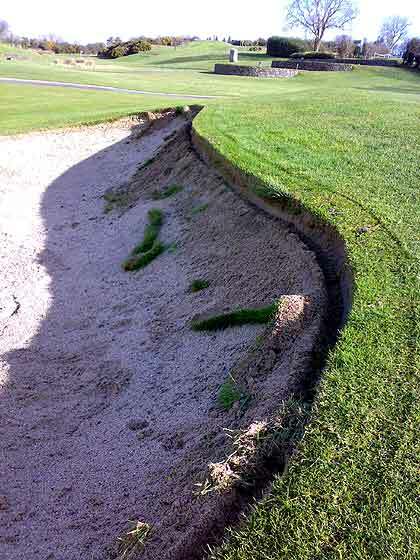 Dig shallow trenches. Sizes range from 0.75" to 5" width and up to 7" depth. 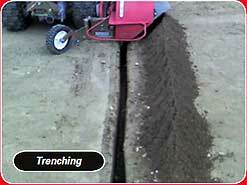 Sand-slit for draining wet areas. 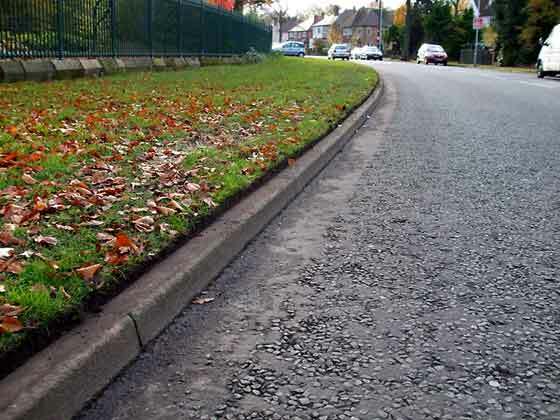 Install domestic sprinkler systems, path edging, low voltage cables, lawn edging etc. Install reptile, newt and rabbit fencing. Plant hedgerows and bulbs. 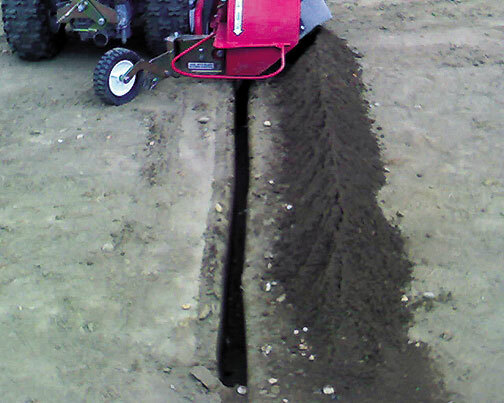 Blade breaks soil into a fine tilth and deposits it to one side. View Walk Behind Edger Operator's Manual . View Walk Behind Edger Spare Parts List . The Walk Behind Edger & Trencher is driven by a Honda-powered, GXV390 TurfTeq Tractor Unit, which is common to all attachments. 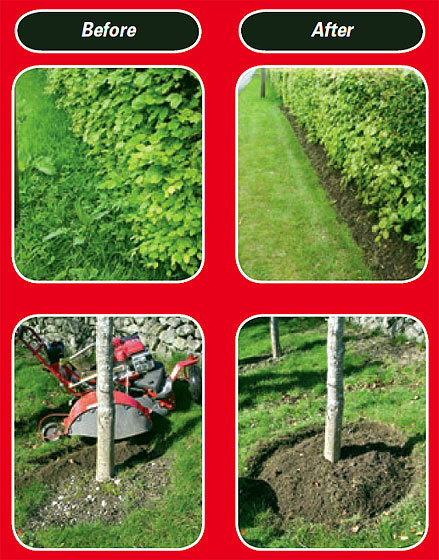 "Having recently acquired a Turf Edging machine we are delighted with the results. The hard edge attachment has speeded up operations dramatically; we are achieving astounding work output compared to traditional hand methods." 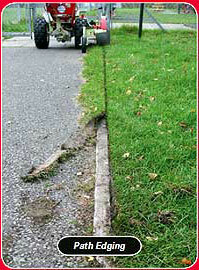 Richard Barton, Service Manager Landscape Maintenance, Torbay Council. 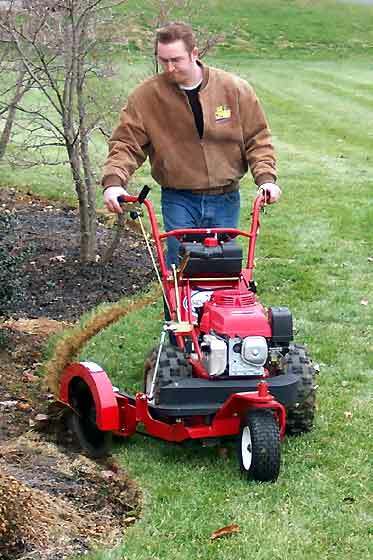 "The edger is the best machine I have ever rented. We shall either purchase one or hire it again in the near future. It will accomplish in an hour what a man could take a day to do manually." Nick Freeman, Manager of Coblands Landscapes, Tunbridge Wells. 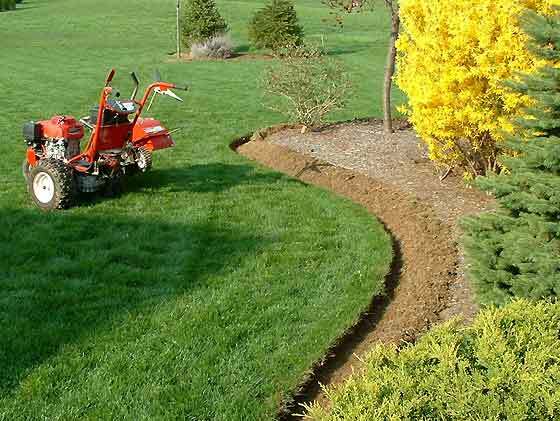 "I was really impressed with the power edger. We did about a week's spade work in a few hours." Richard Squires, Manager, English Heritage. 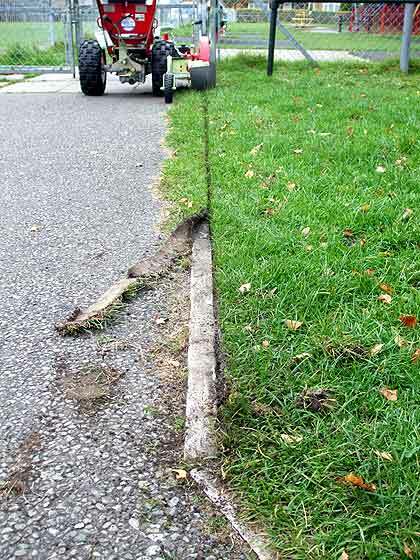 "We hired the Turf Teq Bed Edger last year; it did a fantastic job. 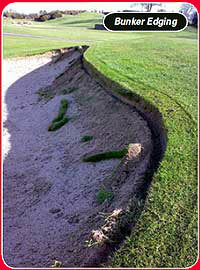 We did the whole year's edging in a couple of days." 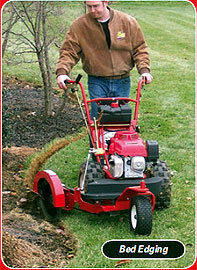 "The installation of Rite Edge lawn edging, and the more heavy duty Rite L Edge, requires a shallow trench. 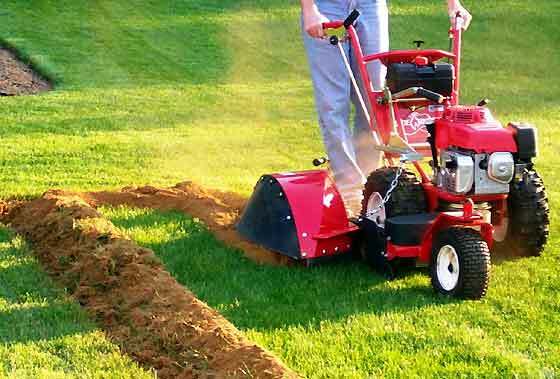 The Turf Teq Edger/Trencher is perfect for both installations, and speeds up the job considerably." Paul Greaves, Sales Director, Rainbow Professional Ltd. Walk Behind Edger and Trencher, UK, Ireland, Eire. © Copyright 2009-2018: County Hire Ltd. All Rights Reserved.